An historic village pub is to reopen on Friday (9 June) following an extensive refurbishment programme headed by a local family. Reviving the 17th Century Bulls Head, at Alton, has been a labour of love for new landlord James Miller who grew up in the Staffordshire Moorlands village. Along with other family members, James and his wife, Gemma, have led a year-long programme of work at a cost of more than £100,000. The Bulls Head has been extended into the neighbouring former Co-Op store, on High Street, Alton, and new features include a stunning oak bar and beer enthusiast James has been busy sourcing an extensive and exciting range of craft beer ahead of Friday’s opening. The relaunch comes in time for the first Alton Beer Festival on 17 and 18 June. Pubs across the village have joined forces to launch the multi-venue festival which will also feature a classic car show, street food, live music and children’s entertainment. “It has been over a year since we bought the pub and there’s been a tremendous amount of hard work,” said James. 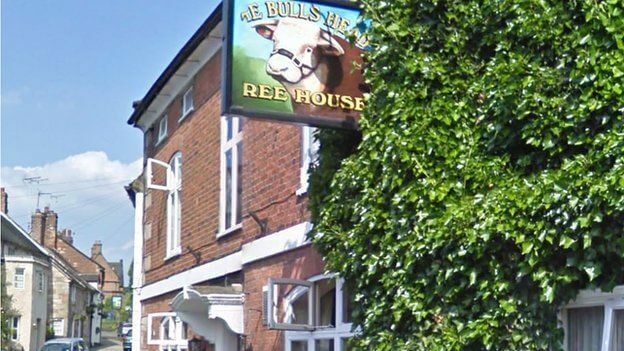 “But it is a labour of love for me as I have lived in Alton for most of my life and the Bulls Head was where I first experienced the pub scene. “For decades, the Bulls Head was at the centre of Alton’s pub scene and I can’t wait to welcome back old regulars and introduce new customers to a fantastic local.